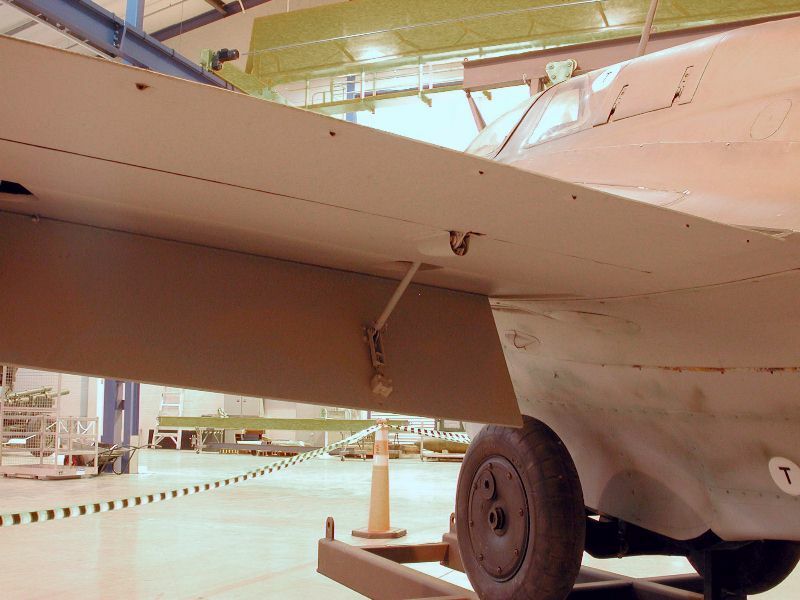 View of the flap under the wing, and the trim surface at the wing's trailing edge. Note the ventilation holes in the fabric covered trim surface. The lower center fuselage seems to have been painted with transparent mottles.